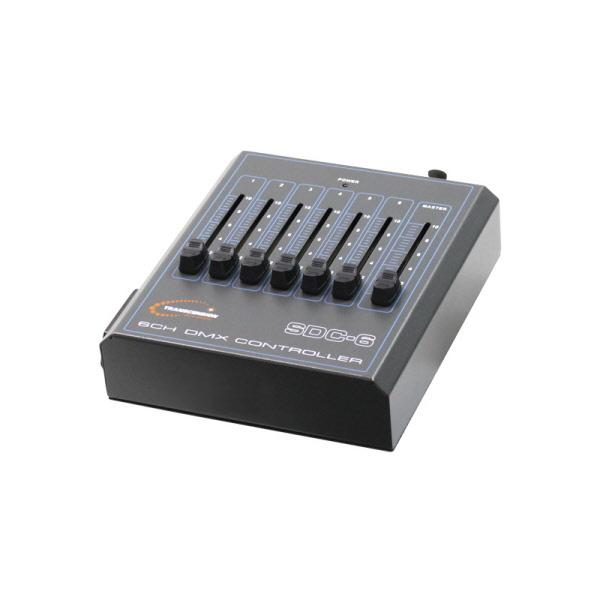 Transension SDC 6 is a 6-channel DMX controller, it is a compact and portable DMX device which can be powered by a DC 9V adapter or a simple battery (battery is not provided). This unit is convenient to carry and easy to operate for user’s application. This is an ideal desk for use in small halls, schools or studios.